(AP) OPELIKA, Ala. - The Alabama fan who poisoned the iconic Toomer's Corner oak trees at rival Auburn has been sentenced to three years in prison. Harvey Updyke Jr. pleaded guilty on Friday to criminal damage of an agricultural facility. The sentence requires him to serve at least six months in jail and spend five years on supervised probation for the Class C felony. He has been credited with 104 days already served. attending a college sporting event. Auburn fans traditionally gather at Toomer's Corner to celebrate victories, and the case further highlighted the emotions in the year-round in-state rivalry during the two-plus years since Updyke was arrested. "We have a significant number of violent felonies awaiting trial in Lee County and I could not in good conscience justify financing a three-week trial merely to arrive at no better a resolution," Lee County District Attorney Robbie Treese said in a statement. Defense attorneys Margaret Brown and Andrew Stanley did not immediately return calls seeking comment Friday evening. Updyke, 64, had pleaded not guilty by reason of mental disease or defect to charges of poisoning the trees during Auburn's successful bid for the national championship in the 2010 football season that included the biggest comeback in Iron Bowl history. Updyke had been charged with criminal mischief, desecrating a venerated object and damaging agriculture. His bond was revoked because of his September arrest after allegedly making a threatening remark to workers at a Lowe's store in Hammond, La., but lawyers contended he did nothing wrong. 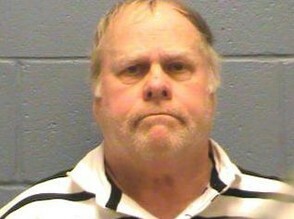 As a result of Updyke's plea Friday, prosecutors will not pursue those charges, according to court documents. Updyke is also banned from that store under the probation terms. Treese said restitution amounts would be determined later and are automatically doubled under Alabama law. The DA said expenses would have included transportation and lodging of up to 50 witnesses and fees for several experts. "Whether or not, Mr. Updyke can manage to stay on probation is entirely up to him," Treese said. "Despite the destruction he has caused, no one is capable of diminishing the spirit of our community." The now-skeletal trees are scheduled to be removed on April 23. Auburn fans will get one more celebratory rolling after the spring game three days earlier. The trial had been scheduled to begin on April 8 in Elmore County. Walker had agreed in a ruling March 13 to move the trial to Wetumpka, north of Montgomery in Elmore County, citing the extensive media coverage. The judge halted an initial attempt to try Updyke last summer in Lee County after Auburn's student newspaper published a story in which it reported that Updyke confessed outside the courtroom to poisoning the trees. In December, defense attorneys said that Updyke is mentally competent to stand trial but they still planned to use an insanity defense because his mental health then and at the time of the poisoning were different issues. Updyke was arrested just over two years ago after a man calling himself "Al from Dadeville" - Updyke's middle name is Almorn - phoned a radio show claiming he poured herbicide around the 130-year-old oaks. The caller signed off by saying, "Roll Damn Tide." Updyke admitted to calling the radio show and to leaving a phone message to an Auburn professor claiming knowledge of the poisoning, court documents said.